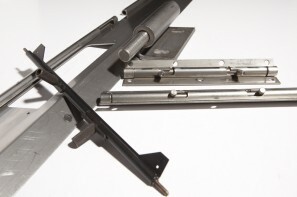 A particularly unique custom hinge, solid barrel hinges use compression-loaded pins to enable the easy attachment and removal of panels and related components from many applications. Also called unhinges, these streamlined designs often have a single knuckle running the length of the hinge and are manufactured for their fast release and take apart action, without the need for tools. Further features, such as holes, tabs, etc. 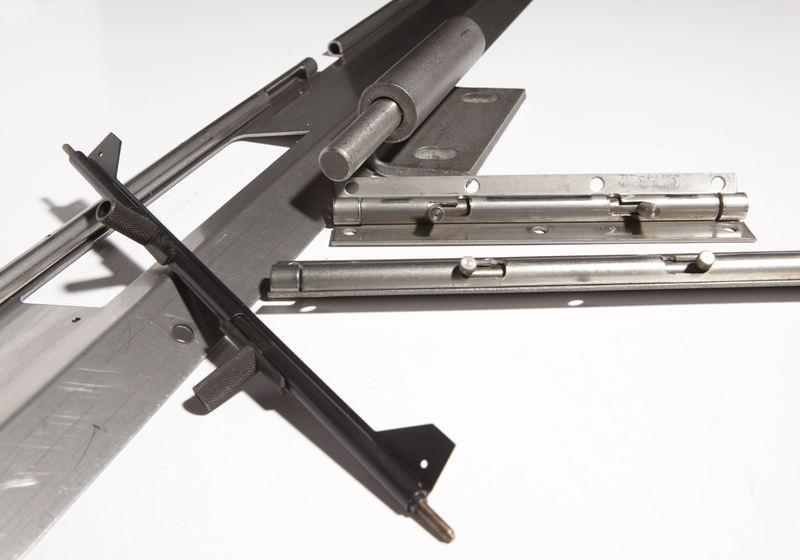 are additionally available to manufacture solid barrel hinges to your specific applications. Copyright 2019 - LaDeau Manufacturing | Toll Free: 800.693.3990 Website developed by Caspian Services, Inc.